Imagine a raptor-migration watchsite that records more than 200,000 birds of prey each autumn, including one of the most exotic of all raptors, the Black Baza. That watchsite is Khao Dinsor. Perched atop a steep hill overlooking the Bay of Thailand, the relatively new hawkwatch is home to the most concentrated movement of Black Bazas anywhere. 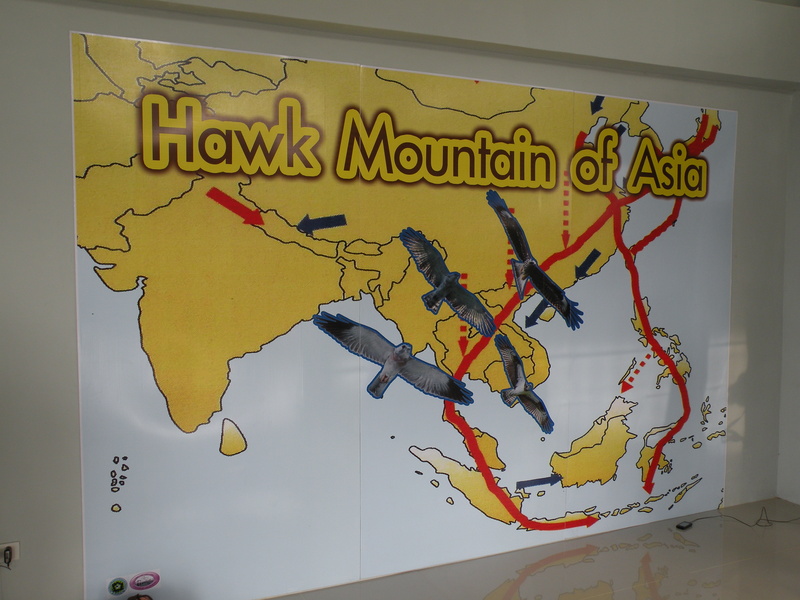 It also is home to the very first Raptor Study Center in Asia. And what a Center it is. The dream of Chukiat Nualsri, a young government official from the small Thai city of Chumphon, the raptor center at Khao Dinsor (aka Pencil Hill) sits along South East Asia’s major raptor-migration corridor. Its impressive movement of birds of prey places it in the fast lane to becoming a major international birding hotspot. Discovered by Chukiat in autumn 1997, the phenomenal flight now ranks among the elite of concentrated raptor movements globally. The 26-species event, which runs from early September through late October, features several of the world’s most enigmatic raptor migrants, including the Crested Serpent Eagle, Black Baza, Grey-faced Buzzard, Shikra, and Chinese Sparrowhawk. The site received a USAID grant of $160,000 to build the new study center, which was dedicated on 21 October 2012. Several hundred international and local hawkwatchers, Thai school children from the environmental group “Young Raptors, Safe Earth,” and Chumphon natives attended the celebration. Known as the “Hawk Mountain of Asia” I was asked to speak at the dedication and participate in the count that day. 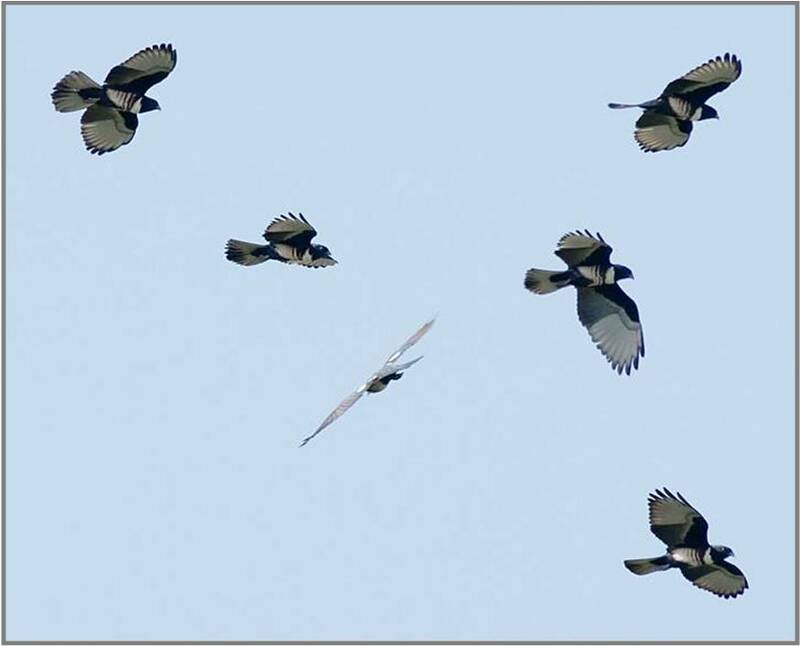 Flocks of Black Bazas, a small kite that resembles a cuckoo more than a hawk, began to pop out of the forested “woodwork” at 8:45 am on the morning of the dedication. Within minutes dozens of flocks of bazas, many numbering in the hundreds, were rising on thermals and flying south along the Isthmus of Kra toward Peninsular Malaysia. The birds were soon joined by a trio of tiny accipiters that included Japanese Sparrowhawks, Chinese Sparrowhawks, and Shikras. Oriental Honey-buzzards and Crested Serpent Eagles also were passing in small numbers. The flight was authentically Far East. The only species of “Western” migrants I saw over the next several days were a handful of Booted Eagles and the all-but-cosmopolitan Osprey. Oriental Asia, more than any other region has caught the hawk watching bug in recent years, and the first regional field guide to the migratory raptors of Asia, which I was lucky to co-edit, was officially launched by its publisher, The Asian Raptor Research and Conservation Network, at a raptor identification workshop in Chumphon earlier in the week. The first-ever rapto center in all of Asia–now open! There no longer is any excuse for not visiting Thailand to watch migrating raptors. The new field guide provides the basics, and the new Raptor Study Center at Khao Dinsor provides the venue. 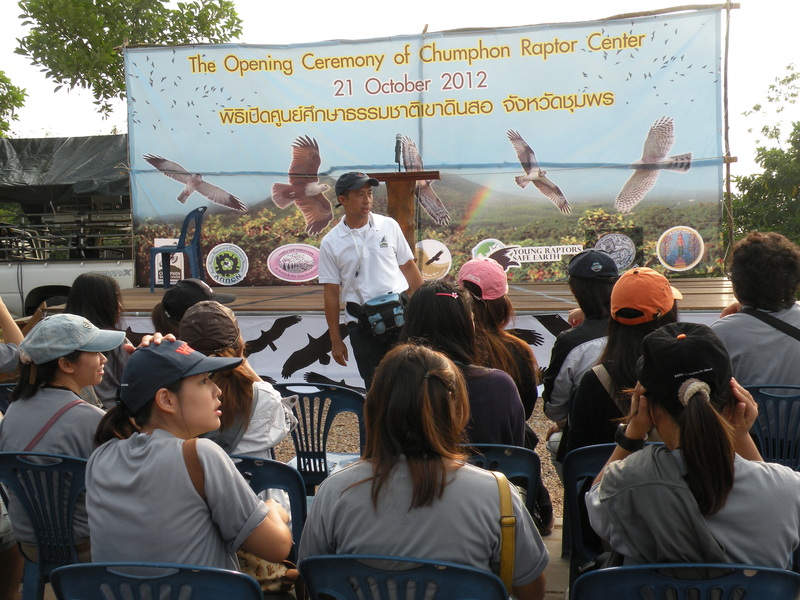 Chukiat and his international team of counters are eager to welcome the world’s hawkwatchers. If you are interested in being one of the first, contact me at Bildstein@hawktn.org.